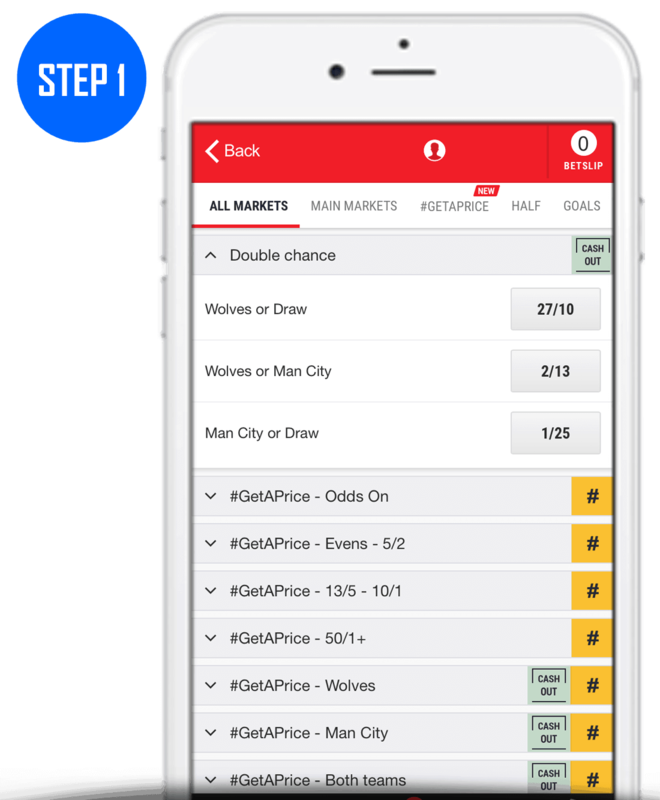 In this article we explain all you need to know about the ‘Double Chance’ betting market including what it means and how it works, a list of bookmakers that offer this market, how to place this bet and more. Based on the traditional three-way market, you would have a 33.33% chance of winning (in theory) by choosing either a home win, draw or away win. However, what if we could increase this to 66.66% (again in theory)? That is where Double Chance comes into play. So, what exactly is the meaning of ‘Double Chance’? The Double Chance market allows you to cover two of the three possible outcomes in a three-way Win/Draw/Win market. For example, Home Win & Draw, Home Win & Away Win or Away Win & Draw. Double Chance is different to the Draw No Bet market, where you simply get your stake refunded if the event ends in a draw. The following bookmakers offer the Double Chance market. Home Win & Draw – Your bet wins if the home team wins or draws the match. Home Win & Away Win – Your bet wins if the home or away team wins the match. Away Win & Draw – Your bet wins if the away team wins or draws the match. When betting on the Double Chance market, it is important to know what odds to expect so you can recognise whether you are getting the best value. It may also be the case you are better off utilising the Handicap market instead. Here are the formulas for calculating the odds for Double Chance based on the three possible bet types. For the purpose of this illustration, we will be using ‘Team A’ and ‘Team B’ as references. Here, you need to multiply the odds of Team A by the odds of a Draw. Then divide this figure by the odds of Team A added to the odds of a Draw. Here, you need to multiply the odds of Team A by the odds of Team B. Then divide this figure by the odds of Team A added to the odds of Team B. Here, you need to multiply the odds of Team B by the odds of a Draw. Then divide this figure by the odds of Team B added to the odds of a Draw. The main obvious advantage to Double Chance is that your chances of winning are increased. This is because you are covering two of the three possible outcomes, rather than just the one, so you are, in effect, doubling your chances of a winner. Conversely however, the disadvantage of a Double Chance bet is that the odds are significantly lower. This is because the likelihood of you winning is considerably higher, at least in the eyes of the bookmakers, than if you backed any of of the three outcomes individually. Below we’ll guide you through on how to place a Double Chance bet. We’ll be using Ladbrokes as the the bookie of choice in our example although the process should be the same regardless of what bookmaker you use. Head to the event you want to bet on and locate the Double Chance market. 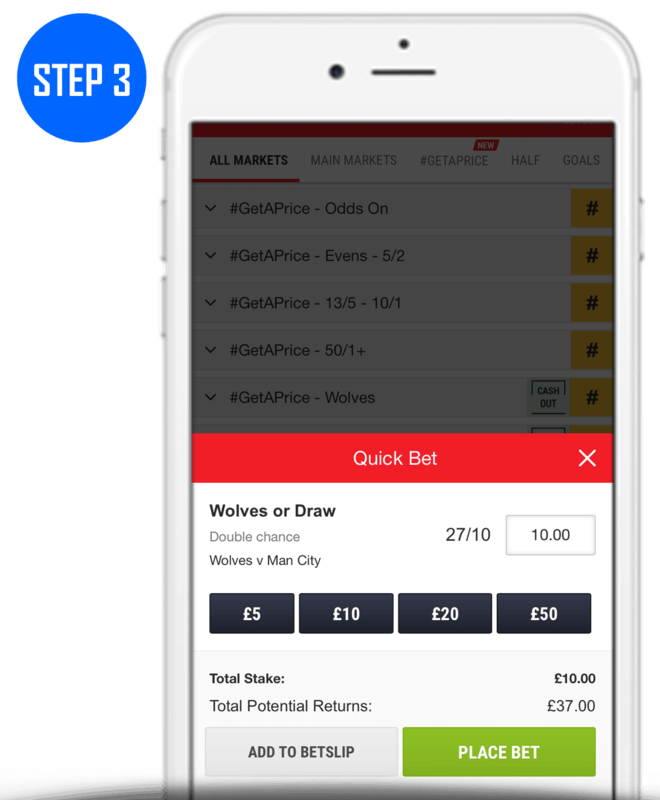 Add your Double Chance selection to your bet slip. Enter your stake and confirm your bet. The Double Chance market is only available on events with three possible outcomes (Win/Draw/Win) and allows you to combine two of the three outcomes. While the odds are considerably reduced, your chances of winning are increased and so it is a market that can be a sensible alternative in order to minimise risk, especially if you believe the end result could be close.